The traditional annual budgeting and planning process is broken and full of flaws. It’s too complex, includes assumptions that often turn out to be wrong, and doesn’t respond well to a volatile and competitive world. It’s stressful for company leaders who have to endure endless budget iterations, debate over conflicting business goals, and sandbagging, all of which lead to poor decision making. The result is a final product that becomes less relevant with each passing month. What’s needed is a new approach to planning, budgeting, and forecasting (PB&F)—one that transforms it into a powerful tool for executing your business strategy and informing company leaders, leading to better business decisions. The new approach to PB&F should be faster and more agile, with explicit evaluation and analysis of variability built into the planning and forecasting process through the use of technology. 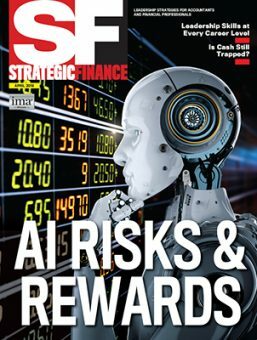 An innovative, fleet-footed process will enable companies to be sensitive to changes at the margin, in consumer spending patterns, in gross domestic product (GDP) growth rate, in foreign exchange rates, and in other important value drivers. 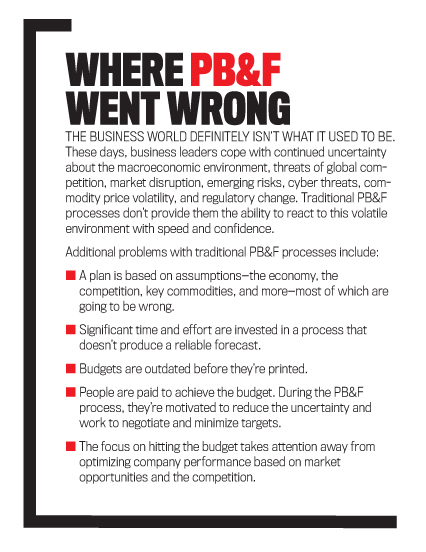 In an April 2013 report, “Planning, Budgeting and Forecasting,” KPMG stated that “60–80 percent of firms fail to execute their strategies, and fewer than five percent of employees are aware of, or understand, their firms’ strategies.” Clearly, renovating PB&F practices presents an excellent opportunity to build business value. Management accountants and other financial professionals obviously know all the details of PB&F. Planning determines how a company will align resources with strategy and how it will measure progress. The role of budgeting is to determine where resources should be deployed and to make certain that people are aligned to deliver the company’s strategy through an integrated plan. The budget maps out how the company will ensure accountability and encourage behaviors needed to execute the strategy. 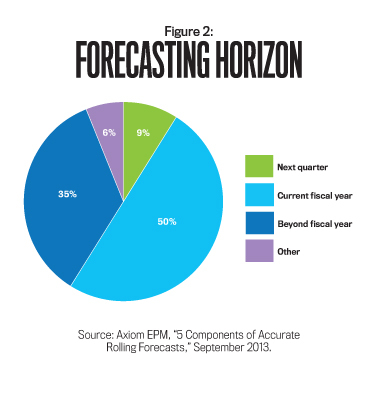 Forecasting, meanwhile, determines how the company will adjust to changing conditions. Its role is to review performance and, if necessary, outline actions to get back on track to ensure targets are met. Many experts believe the traditional bottom-up approach to planning, where historical performance supports the plan, is likely to destroy value in organizations. A better-focused process can be implemented so that the annual budget is used as a tool to optimize resource allocation and align people to achieve the organization’s strategic goals. Spending less time creating the numbers allows for more time analyzing them and driving action that generates tangible results. Organizations must plan to be successful; it doesn’t happen by accident. The planning process is an opportunity to get everyone on the same page and to understand the organization’s view for the future. It’s up to you to create a new planning approach that leads to increased transparency, trust, and accountability to move things forward. Now’s the time to evaluate practices that are working or not working. Retain the ones that are, eliminate those that aren’t, and add new best practices where needed. 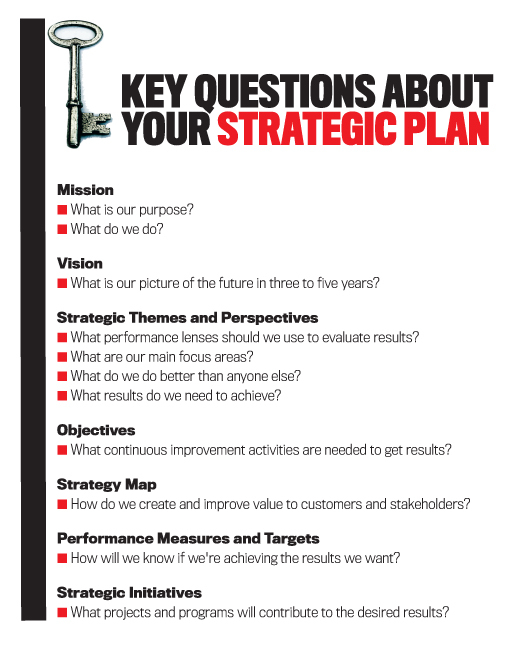 A good strategic plan should focus on what’s critical to achieving success. It should provide answers to simple yet key questions—as Albert Einstein said, “…as simple as possible, but not simpler.” Strategy answers important questions, including: What businesses are we in? How will we compete? Which choices will make us more money? Successful companies set the foundation for an effective planning process that begins with strategy. Your company’s strategic plan creates a shared vision of what’s important to the organization and translates it into a simple story about its future. An effective planning process begins with a blueprint that includes thoughtful choices around resource allocation, the planning horizon, management accountability and participation, transparency, internal communication tools, the level of detail to include, and, perhaps most important, how to adjust to changing conditions. Resource Allocation. Resources should be aligned with strategy and coordinated across the organization. This is the time to evaluate internal projects to determine those opportunities with the greatest potential return on investment. Management Accountability and Participation. Identify the roles and responsibilities for individuals included in the PB&F process. Determine how best to measure progress and to align financial targets and rewards. Establish incentives that drive the correct behaviors by clearly articulating accountabilities that link the plan to each individual’s performance. The goal is to encourage behaviors needed to execute the strategy. This leads to less sandbagging and gaming. Transparency. Be intentional about adding transparency to the planning process. Transparency enables you to achieve greater trust, coordination, and cooperation across the different functions within the organization. It can also help reduce the tendency for managers to sandbag. Internal Communication Tools. 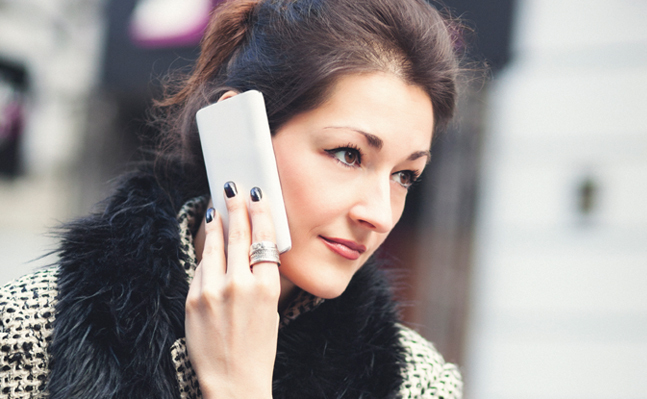 Select communication tools and channels that include all stakeholders in the process. The communication approach should define the purpose of the budgeting and forecasting process, focused on cascading and enabling strategy with incentives that drive the right behaviors across the business. Forward-thinking organizations are developing interactive visualization of data to communicate their strategies. Two excellent examples of this are the 2006 TED Talk video, “Hans Rosling: The best stats you’ve ever seen,” and Kiva.org’s Intercontinental Ballistic Microfinance visualization of loan funding and repayment flows. Level of Detail. Produce as little or as much detail as needed to make smart business decisions. Focus on the questions that need to be answered. More detail doesn’t mean better decisions; in fact, too much detail can reach the point of diminishing returns, where the cost of knowing may increase and the value of knowing may decrease. Begin by focusing on the questions that need to be answered, such as where you’re headed and how you’ll get there. Focus on and only plan line items that really matter. Don’t populate every number from scratch. Instead, prepopulate as much of the data as you can for 80% to 90% of the line items. To get a baseline, build in algorithms that will take your current trend data in each area and project that out for the year. Adjust to Changing Conditions. Your planning process must be dynamic to respond to changes in the industry, the economy, the competition, key commodities, and other assumptions. 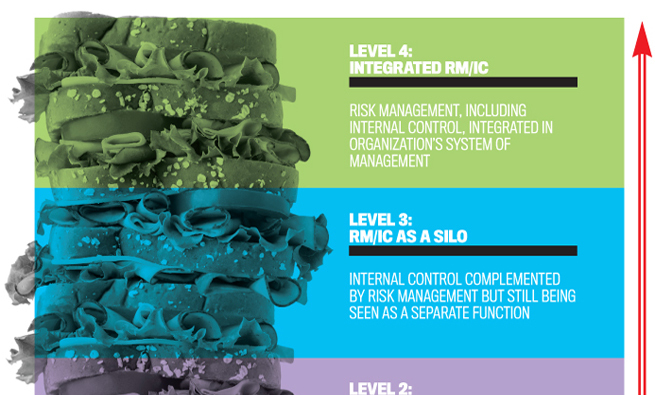 A dynamic plan enables the organization to adapt and grow to meet changing market conditions. Analytic tools and predictive models do a great job of allowing organizations to adjust to changing conditions. They require fewer inputs than traditional planning and help automate and shorten the annual budget cycle. Analytic tools incorporated into the PB&F process enable the finance department to generate scenarios needed to question old assumptions and to stimulate new thinking by churning through internal and external data. Analytic tools challenge the idea that professional experience and intuition are reliable substitutes for fact-based decision making—it takes all three. Predictive models enable organizations to focus on leading vs. lagging indicators and provide much greater insight into what’s happening in the organization. In addition, they allow planners to evaluate alternative scenarios based on fluctuations in factors that influence financial outcomes. Owned by business managers to drive the focus across the organization, clearly defined value drivers measure progress against targets that are linked to the organizational strategy. They include market share, service and products (existing, new, and a mix of both), customer channels (segments, service), and market growth (contract life cycle). A tip: If you’re new to designing predictive models, start small! Use model-based forecasting to support target setting, and build your experience using data to create meaningful scenarios. In the end, when it comes to designing your planning blueprint, determine what works best for your company and confirm with stakeholders. Retain practices that add value and toss the rest. Data. Data provides a common business language, a set of definitions, and agreed-upon standards. Data organized through the use of data models ranging from corporate to individual systems should adhere to a common set of standards. A system of controls and governance should be in place to ensure the quality, consistency, and completeness of information, resulting in data that is consistent wherever applicable across multiple business units. Dashboards and Scorecards. A dashboard measurement system provides a simple, clear message about your company’s strategy that all employees can understand and internalize in their everyday operations. An efficient system includes automated dashboards and scorecards. Alerts and early warnings are built into the system by setting limits so that material variances get flagged when the limit is reached. 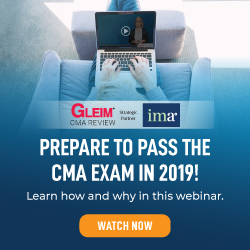 This eliminates the need for someone to sit down and sift through a monthly report that has 200 variances and try to determine which ones are important. Company leaders can then agree on the most important measures. A well-constructed dashboard provides the road map for achieving the company’s strategy. It decompresses high-level stretch targets into ambitious targets for the linked objective and measures on the dashboard. The organization can then define the strategic initiatives designed to close the planning gap between the stretch targets and the organization’s current performance. In this way, the knowledge, tools, and means are provided to achieve the stretch targets. Employees are then more willing to sign up for these targets because they can see the linkages, integration, and initiatives that make it possible to achieve them. The most important criterion for initiating the dashboard? Employees should have a senior leader whose management style encourages communication, participation, initiative, and innovation. Technology. Business intelligence platforms offer increasingly powerful analytic tools that provide access to the right information at the right time. These user-friendly applications can take large volumes of data, consolidate it, and make it available in near real-time to business managers to support the planning process. Operations and financial data are integrated to allow you to prepare a detailed budget and to run scenarios needed to adapt to the volatile business environment with speed and confidence. Business intelligence platforms include a workflow to manage the process, to enable collaboration across the organization, and to store past plans. But the technology solution isn’t delivered by a stand-alone piece of software. Instead, it’s often composed of multiple software applications that extract and “cleanse” data from numerous legacy systems. There are a number of planning and performance management systems on the market, many of them cloud-based and suited for both large and smaller companies. When selecting a system for your company, make sure first that the organization agrees on what it needs to know. An effective business intelligence platform will provide a unified and trusted view of the business that engages employees and aligns the organization’s strategy to its execution. Cloud-based tools are leveling the playing field for smaller companies to deploy sophisticated functionality quickly and at relatively low cost. Cloud-based planning systems include communication and collaboration tools and mobile and analytic applications. All these tools help companies better adapt to an increasingly volatile and global marketplace. Change Management. Good process redesign and supporting governance won’t deliver the anticipated benefits unless employees are on board and support it. 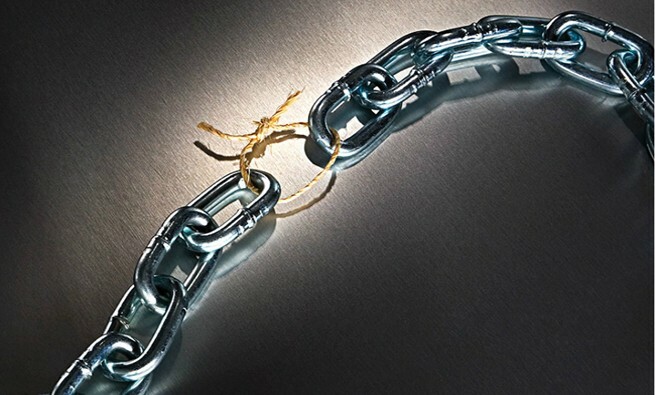 Change management can unlock the value of PB&F and overcome resistance to new ways of working. A change of mind-set is needed to properly establish and sustain new processes through communication, education, people management, and strong leadership. Strategic and economic benefits must be converted into straightforward behavioral examples of how people will be expected to operate in the new environment. During the recession, many carefully prepared budgets collapsed because of volatile stock markets, commodity prices, and exchange rates. As a result, some companies are abandoning traditional budgets in favor of zero-based budgets or rolling forecasts. 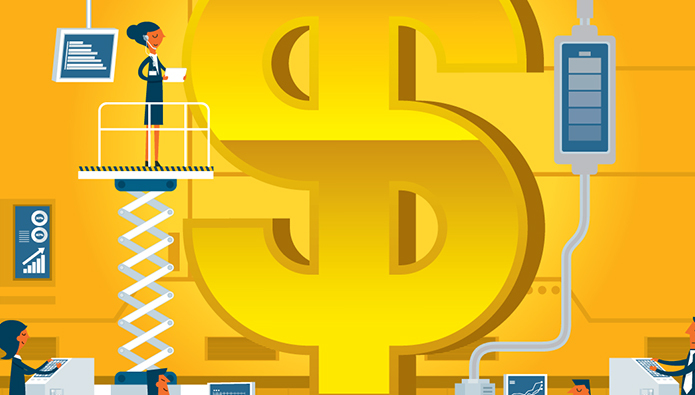 Zero-based budgeting favors areas that bring in direct revenues, such as production and services, because their contributions are measured more easily than those of departments such as the administrative or accounting functions. Successful zero-based budgeting that includes a controlled method to facilitate cost visibility, cost governance, cost accountability, and aligned incentives leads to a culture of cost management throughout the organization. 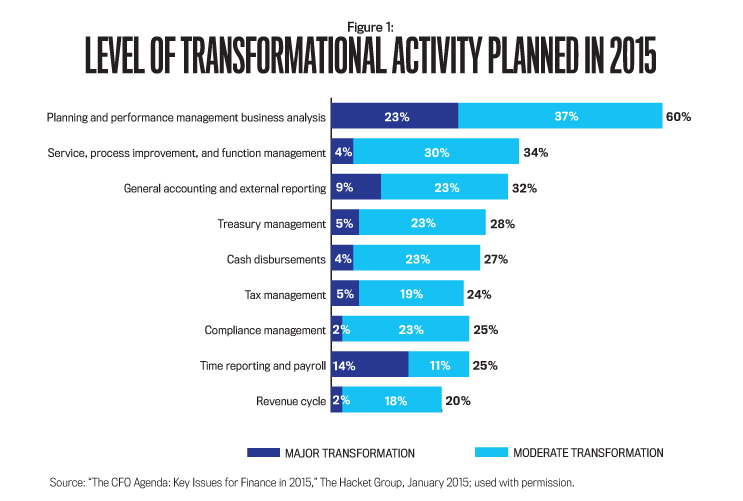 It’s the same approach that finance leaders should take with any other organizational transformation efforts. Begin with aligning the general and administrative function with the corporate strategy; determine a target or future-state cost structure based on benchmarks and judgment; evaluate the current state beginning with an inventory of all activities, processes, deliverables, and the like; determine gaps between the future state and the current state; build the organization around the future state; and draw up a road map for implementation. Rolling forecasts, which typically cover a 12- or 18-month horizon and integrate sales, operations, and finance, are used to lessen risk, identify new opportunities, and maximize the use of high-returning investments. 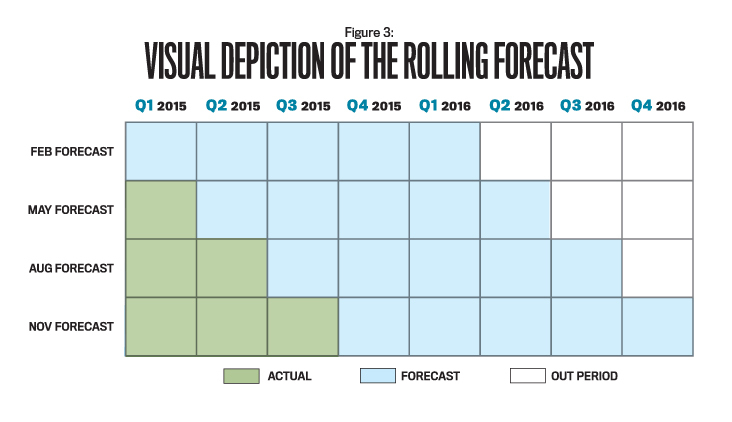 Rolling forecasts enable a consistent, accurate, forward-looking financial outlook despite volatility and provide the ability to model and execute course correction throughout the year. It’s no secret that the annual budgeting process isn’t creating business value at most companies. In fact, the traditional bottom-up approach to planning is likely to destroy value in companies. The PB&F process is in need of a major renovation, and management accountants and other financial professionals are extremely well positioned to create business value by building top-quality PB&F practices. 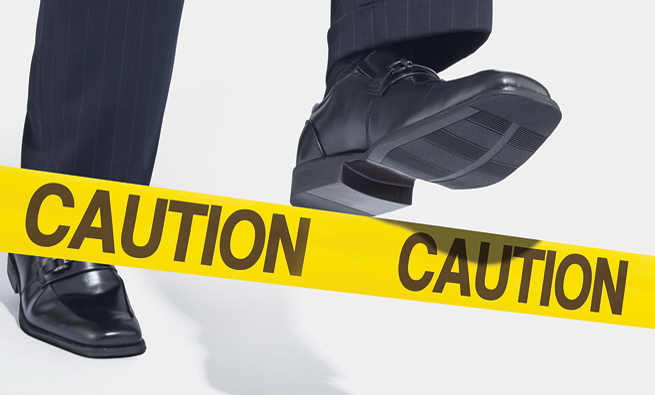 Like it or not, finance leaders need to take a new approach to remain relevant. In your own organization, you must determine what’s working and what isn’t and eliminate obsolete PB&F practices. Then carefully rebuild by identifying the practices that add value. Set the foundation by clarifying your company’s business strategy, align resources using targets and rewards to increase accountability and transparency, and incorporate tools that allow your company to identify and respond quickly to changing conditions. Great outline of useful concepts presenting best practices in mastering planning, budgeting and forecasting to drive to a better value. The choices discussed are great initiatives. 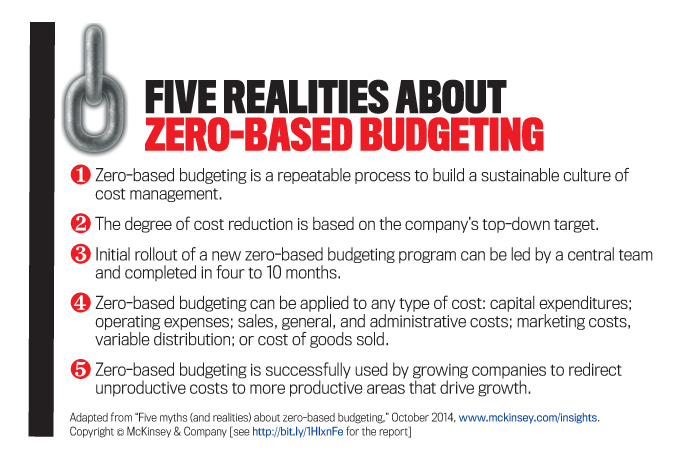 However, It seems to me that there are two contradicting planning alternatives as Zero-based Budgeting seems to opposite the Rolling Forecast concept. I can understand that Zero-Based budgeting could be ahead of the other in the successive planning process, rather than happening simultaneously. Personally I tried both where as Zero Based are performed during the course of annual budget for 12 months period. Once the budget is approved and committed, then it follows with the Rolling Forecasts in quarterly basis which consider the changes in the market dynamics and build accordingly the update on the outlook for 12 months rolling period. By progressing this Zero Based budget becomes outdated mostly by the 2nd consecutive quarter. In conclusion both complements rather than coincides, therefore I do not believe they alternates.